100% Cotton Ladies Spaghetti Strap. Full Color logo front and back. 100% Cotton Ladies V Neck. Full Color logo front and back. 100% Cotton Unisex Tee. 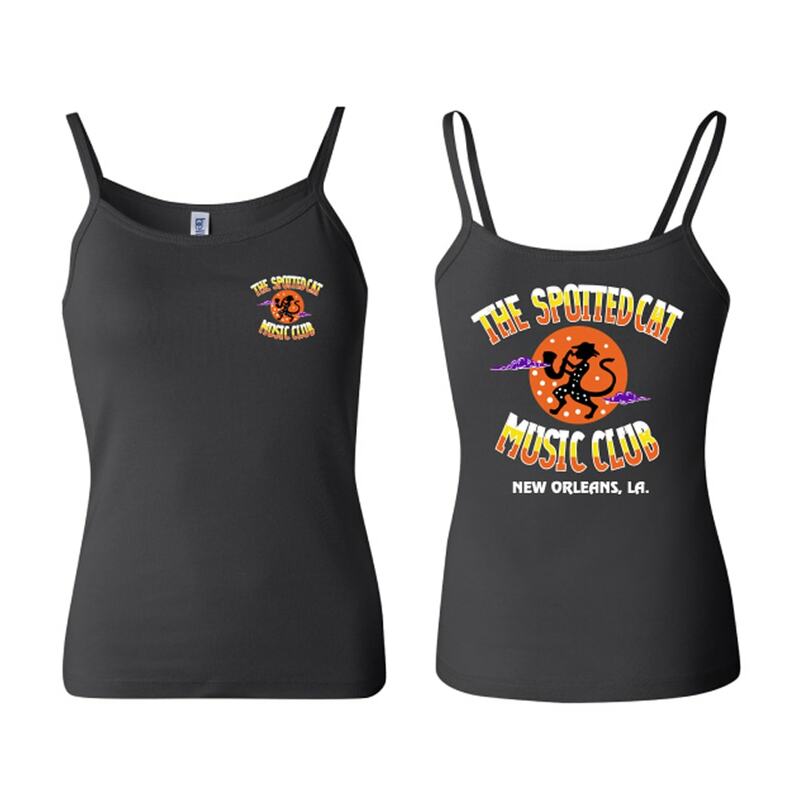 Spotted Cat logo full color front and back. 100% Cotton Unisex Tee. Spotted Cat black and white color front and back. Spotted Cat Koozie. Three Location Imprint.